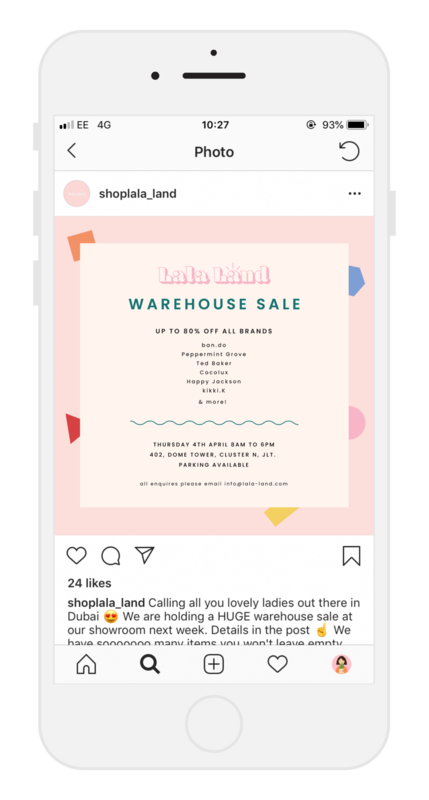 Promotional material for upcoming warehouse sale. 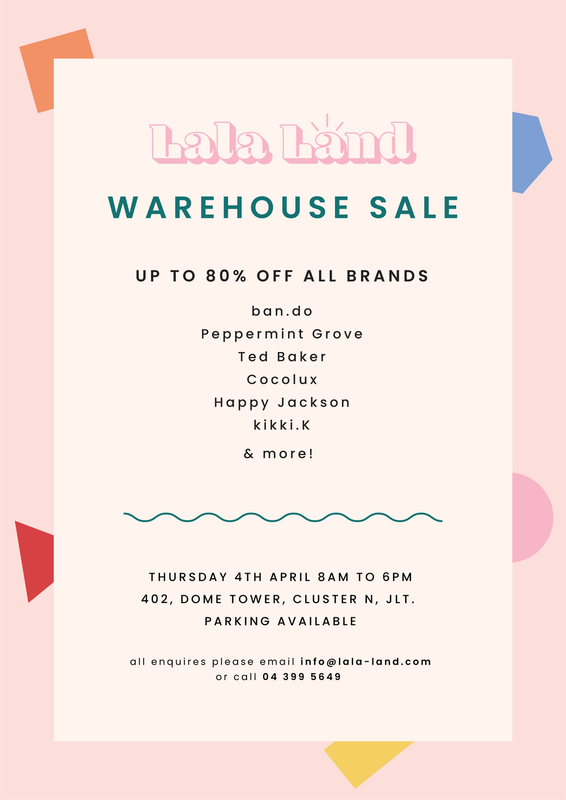 I was asked to create a series of promotional graphics that could be used to promote an upcoming warehouse sale at Lala Land HQ. The designs were use in print format and across social media platforms.